I have no doubt that you will love this road trip idea. We did this trip through the Australian Outback back in 2014 with two kids under 8 in a camper van. I think it’s safe to say that this is a manageable road trip that doesn’t require special skills or a lot of knowledge of the Australian outback. Even though we worked out the itinerary a while ago, it is in the nature of the outback that not many things change over time. Let me just quickly point out that we did make one big mistake though which I don’t want you to repeat. We took the wrong turn from Alice Springs to Kings Canyon, which forced us to go off-road in a massive 6-berth campervan. Not a recommended experience and overall rather dangerous. 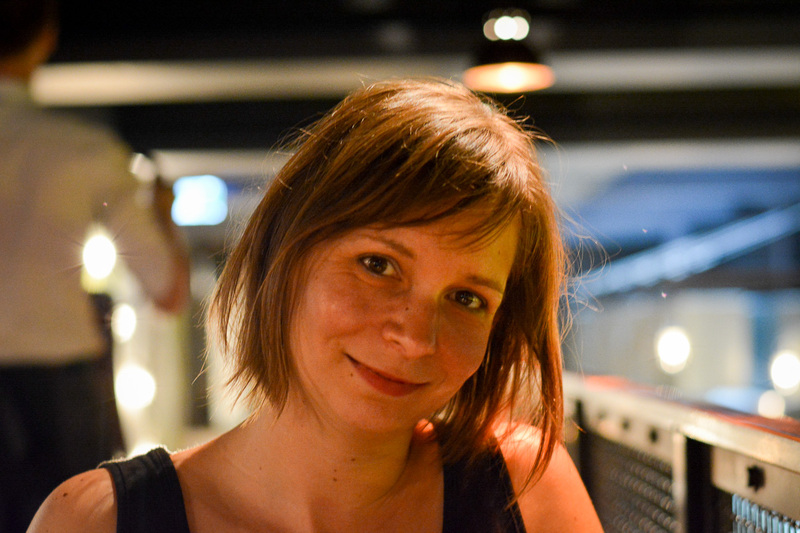 Needless to say, campervan hiring companies are not too excited about this either. Therefore, the itinerary in this post is a little bit different. It is definitely safe all the way and won’t get you into a difficult position. Don’t be disheartened and don’t be fooled. The outback is definitely not a boring or an overrated travel destination. Highlights of our road trip from the red centre near Alice Springs to the tropical north of Queensland included Uluru and Kata Tjuta, Kings Canyon, the Devil’s Marbles, the plains of the Tablelands, Kronosaurus Korner, the gold mining town of Charters Towers, the Reef HQ Aquarium in Townsville, and the wonders of the Great Barrier Reef. Plus of course this very particular quirkiness that comes with a place as lonely and as remote as the Australian Outback. We split the itinerary of almost 3,700km into 9 days which will see you behind the wheel for around 5-6 hours per day. This may look like a lot of driving but in my view this is what road trips should be all about. Australia is a big country and you will only be able to see a variety of things if you keep on moving. However, there is no reason why you cannot linger in a place to explore it deeper. Maybe you fancy a drive-free day for rest. Or you have a lot of time and don’t need to rush like us. In this case feel free to adjust travel times as you please. In our case, we added three more days at the end of our trip in Cairns to soak up some of the warm tropical Queensland sun and to wash off the dust and dirt of the road in a luxurious hotel pool. What you are going to do with this itinerary is totally up to you! We started our road trip not in Uluru but in Alice Springs. A couple of reasons for that. First of all, it is much easier and cheaper to fly into Alice Springs than into Uluru. Secondly, we wanted to stock up on food and drink and all the household and camping necessities before leaving civilisation. Third, we appreciated a soft start which allowed us to get to know the campervan and all its intricacies. We set off early the next morning and made our way towards the Red Centre. Regrettably, we didn’t have time to explore Alice Springs at all, but when you have very little time you sometimes have to face tough choices. Since we took the wrong route directly to Kings Canyon via Hermannsburg I cannot give a report from the road. But I can warn you to not make the same mistake. Do not travel on the Larapinta Drive as it is not sealed. Instead, use the well paved Lasseter Highway to Uluru. Do make sure you keep on the look-out for Mount Conner which will become visible after around 4.5 hours on the road. 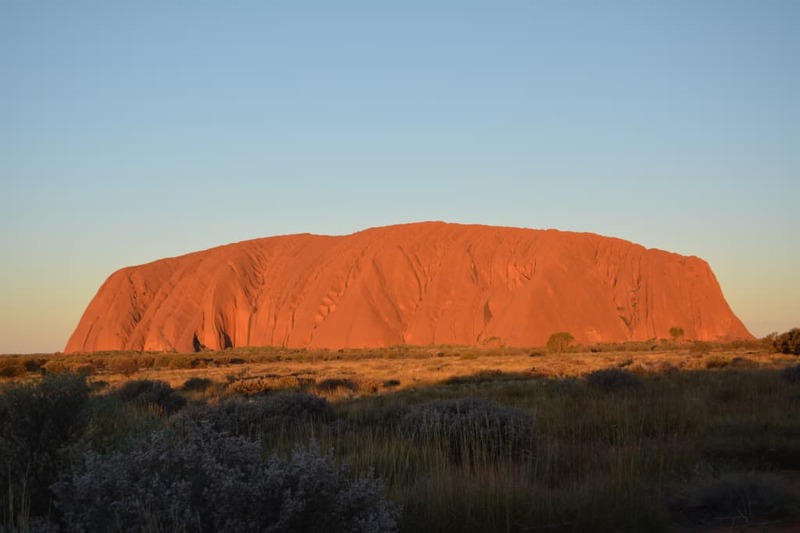 Mount Conner looks a lot like Uluru but it’s a different monolith altogether – many travellers get confused by that. There is a little lookout along the way where you can stop, climb on a sand dune and take some photos. When you arrive at Uluru head straight to the National Park for your three-day ticket. Park you camper van at one of the parking lots clearly labelled as “sunset viewing spots” and enjoy your dinner with the amazing view of Uluru at sunset. 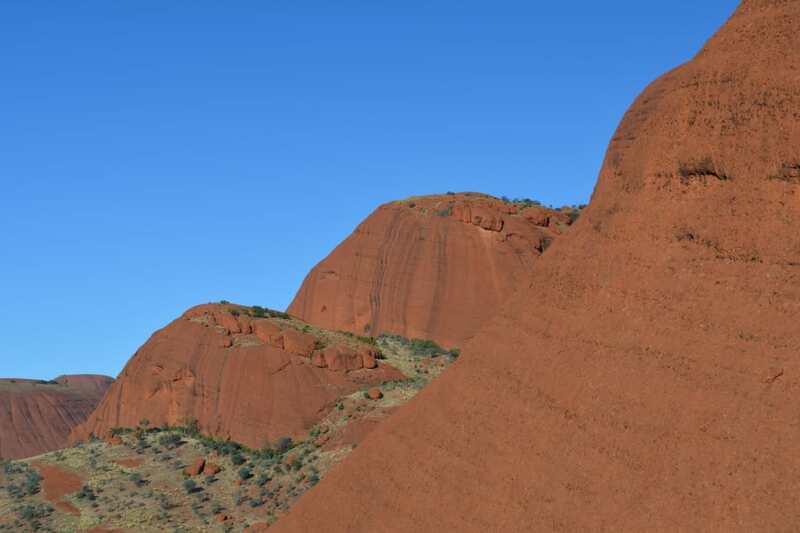 Start the day at the Uluru visitor center where you learn about dreamtime, the story of Uluru in recent history and can check out possible walks for the day. I do not recommend you attempt to climb Uluru. First of all, it is very disrespectful and ignorant. Second, it’s quite dangerous due to strong winds and the heat. Spend the cool morning hours exploring the wonders of Uluru, the caves, the rock drawings, the waterholes, and much more. Then drive for 30-40 minutes to Kata Tjuta for another walk, for example the half-way walk to the Valley of the Winds or into the Walpa Gorge. In the early afternoon hours, make your way to Kings Canyon so that you arrive before sunset. If you are keen and cashed up, consider booking a helicopter flight in the early morning hours. It will only take away half an hour of your day (including all the preparation) but you will have an unforgettable experience, guaranteed. At Kings Canyon you have two walks to choose from. Either you stay at the base and walk deep into the canyon for some lovely views of the Australian bush and the native flora. Or you attempt the climb up Heartbreak Hill to walk along the rim of the canyon past amazing rock formations and along enchanting outback scenery. We did the first with our kids and found it very enjoyable without the strain of having to climb up lose rocks and being committed to finishing a 3-4 hour walk. We also did a short helicopter flyover, probably one of the best experiences we ever had. Whatever you decide, remember you have a long way ahead of you to get back to Alice Springs. From Alice Springs we headed north on the well travelled Stuart Highway. After just an hour you will soon realise that you have left civilisation behind you and that you are now entering a territory of curiosities and remarkable occurrences. The Stuart Highway has a lot of historic significance for the early days of the Australian colony, being the prime north south route to connect Darwin with Adelaide. You can plan your stops along significant landmarks along the way, for example the Tropic of Capricorn, the Aileron Roadhouse with the enormous statue of an Aboriginal warrior, the Red Centre farm (if it’s still around) where we bought mango ice-cream from mangoes grown here), and the Barrow Creek Hotel. The latter is a typical remote outback pub which is plastered in travellers’ souvenirs: licence plates and stickers, bank notes and graffiti, hats and scarves, and many more things can you see here as you sip on your ice-cold beers. Next door is an old telegraph station, and while you cannot go inside you can still walk around the buildings, learn about the history of this vital telegraph line and look at the keeper’s grave. Stop for the night at Wycliffe Well, UFO and alien capital of Australia. Yes, you heard right. Just a couple of clicks north of Wycliffe Well you will get to one of Australia’s most famous landmarks: the Devil’s Marbles. These huge round boulders are placed right next to the highway and cannot be missed. Have a casual walk around to view the boulders from all sides. Play tricks with the giant round stones and learn about the geological reason for their existence by reading the signs. Also learn about the Aboriginal myths surrounding the site (and no, these marbles and not considered eggs of the Rainbow Serpent). Drive through Tennant Creek, not much to see here in this dusty outback outpost, and take the turn towards the Barkly Highway a couple of kilometres out of town. Not much to write home about this first stretch of the Barkly Highway (it gets more interesting as you head into Queensland) but noteworthy are the roadtrains populating the road, the pristine lands under Aboriginal control and the massive cattle farms that you pass by. At the end of the day turn into Barkly Homestead with its rusty farm machinery in the front, the painted camel on the front building and the dusty plains that the kids like to ride their bikes on. It will appear like a beacon of hope after a long day on the road. Forget about the small pool if you are travelling in winter (the water will be rather icy) but instead enjoy a glorious outback sunset with warm and golden light and the cheerful songs of the parrots in the gum trees. As you leave Barkly Homestead be prepared for another rather dragging journey along a long stretch of bitumen. It will take a couple of hours before you will hit the fertile tablelands where you will be greeted by a sea of yellow grasses that is only occasionally interrupted by a tree or two. In the meantime have fun spotting the termite mounts on the side of the road that previous travellers have dressed up in t-shirts and road workers’ clothes. Your biggest highlight of the day will be the crossing of the border from the Northern Territory into Queensland (a good photo opportunity) before you can take a break in the first town after the border, Camooweal. As you are finally rolling into Mount Isa you will probably have had enough of the outback. But rejoice, this was the toughest and most boring day on your road trip. Mount Isa is a big regional centre and a booming mining town. There are a few things you can do here such a a visit to the Riversleigh Fossil Centre or Outback at Isa, great places to learn more about the rich heritage of the area. We didn’t stay however and left Mount Isa in the early morning hours after replenishing our provisions. The Barkly Highway from Mount Isa onwards does become a bit more interesting as you are passing through hilly territory and along smaller farms. You will hardly realise it but the scenery will slowly transition from outback to rural Australia. A number of small towns are dotting the way, many of them with a lot of history worth looking into. Australian country towns can have a wealth of stories to tell, in particular about the early days of exploration and pioneering. Cloncurry is a great place to learn more about the early days of Australia in the small country museum. It is also an area rich with mineral deposits. As you are getting closer to Richmond the theme changes. This is dinosaur country. In prehistoric times the area used to be an ocean. This means that the number, completeness and quality of dinosaur bones that have been found here make this area one of the most exciting in the world of palaeontologists. A visit to Kronosaur Korner in Richmond is a must. As you slowly but surely make your way to the Queensland coast you will pass through a number of charming towns that are all worthwhile stops enroute. Hughenden is, similar to Richmond, deeply routed in dinosaur territory, and if you have missed Kronsaur Korner on the previous day you may want to set out to explore some of the pre-historic stories in Hughenden instead. Pretty Charters Towers should definitely be a place where you would want to stop. Founded as a result of the mad gold rush that transformed this area significantly, the city still had some wonderful heritage buildings that line the main streets. The World Theatre and the shops and civic buildings on Gill Street are well worth a closer look. If you have children, take them to the Miners Cottage for some gold panning. Townsville at the end of your journey for the day is a big city, in particular if you compare it to the towns and places that you have seen over the last couple of days. Since the choice is huge, I am happy to recommend BIG4 Walkabout Palms Holiday Park right on the outskirts of town, which had just the right amount of tropical feel to it to prep us for our tropical Queensland adventure. There are many things to you can do and see in Townsville. With the Great Barrier Reef right off-shore a visit to the Reef HQ Aquarium is a must. We also enjoyed casual strolls along the Strand and through the town centre. Townsville used to be a major port for the huge outback cattle farms, and it shows in the industrial pace of the city. Dominating the city is the pink monolith of Castle Rock from which you will have the most amazing views of the city and the coast. With this we made our way up north towards Cairns. Bruce Highway is a relatively busy road that cuts through quiet costal towns that thrive on seafood, tourism and sugar cane farming. The lush coastal landscape was a refreshing change to the dry and arid centre of Australia where we first set off. The temperatures this close to the water were also much more balanced and milder. Cairns is a fantastic all-year round holiday resort. If you are planning on staying here for a while, make sure you head out to the reef either on a diving or snorkelling trip, or fly over in a helicopter or seaplane. Enjoy a dip in the Esplanade Lagoon or head to the Northern Beaches to spend some days in one of the luxury apartments and hotel complexes. Visit Rainforestation for wildlife encounters and cultural experiences or head all the way to the heritage listed Daintree rainforest. It is better to travel in the outback in the Australian winter – it will be not as hot and there won’t be as many flies around. However, this also means that night temperatures in the red centre may fall easily below zero. Not all goods and provisions can be taken everywhere. Do not bring alcohol into Aboriginal communities, and do not carry fresh fruit and vegetables into areas that are agricultural regions. Speed limits apply to most stretches of the highways, no matter how remote they may be. Beware of wildlife in particular when the light starts to fade. It is not advisable to drive in darkness. Roadtrains – the excessively long trucks that transport goods through the outback on long distances – are much longer than you think. When overtaking a roadtrain apply extra caution. Also apply extra caution with oncoming roadtrains. We had our windscreen shattered twice on the Barkly Highway by grit that was carried through the air by the enormous force of these big machines. Fill up your vehicle at every occasion even though you may feel that it’s not yet necessary. Do not risk driver fatigue. Do not necessarily trust strangers. Pre-book your camping site in locations that see a lot of tourism or where you know you won’t arrive well before dark falls. Some places close at 6pm. You may not be turned away necessarily but you may lose out on a powered site which can make all the difference. Looking for more information on the Australian Outback? Check out this useful Outback Guide!